On Day 2, players reached the money four levels into play and it would take another six levels to reach the final table. 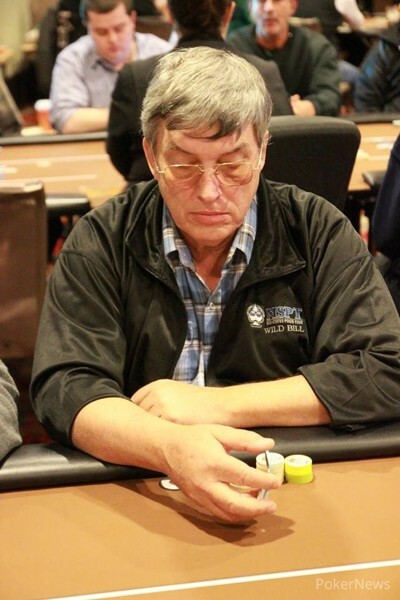 On the way there, notable players lost to the cruelty of tournament poker included Patrick Steele (46th place), Michael Ross (35th), Dash Dudley (26th), and Jean Gaspard (16th). The first full level of final-table play saw three players hit the rail, as Nik Stone, Chad Bienz and Jim Dominique all fell short in their bid for the championship. Tour regular Steve Anderson was next to go as he couldn’t win a race and his fell short against the pocket tens of Adam Friedman. Next to go was Phung Ngo in particularly brutal fashion, which was perhaps a sign of things to come for Dykhouse. After that, in fifth place was Nick Pupillo, also at the hands of Dykhouse when his , couldn’t fade Dykhouse’s when he flopped a king. 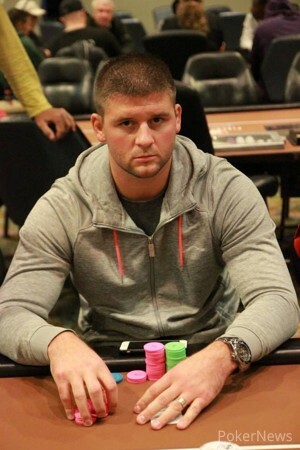 Jeremy Ehrke started the day as chip leader, but couldn’t get it done and exited in fourth place. Adam Friedman had scratched and clawed his way to the final three and it was he, Dykhouse and Mark Johnson that battled it out for quite some time. 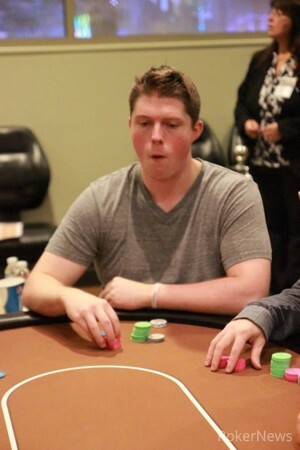 Friedman was eventually worn down and exited in third place, leaving Dykhouse and Johnson heads up. Johnson would take home $70,000 for his efforts and Dykhouse more than tripled his previous largest live cash with the $124,500 score. 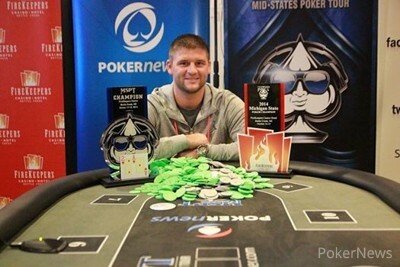 Congratulations to Ryan Dykhouse, Michigan State Poker Champion and MSPT FireKeepers Champion! Ryan Dykhouse raised to 200,000 and Mark Johnson moved all in. "How much is it," Dykhouse asked. After a count of 1,430,000 and a brief thought, Dykhouse threw in chips for the call. Dykhouse stayed safe on the flop, but the turn gave Johnson four more outs. The fell on the river, however, and Johnson graciously made his exit just short of the title. With a board of Mark Johnson moved all in and Ryan Dykhouse made the call. Dykhouse needed an ace or eight to finish off Johnson, but the fell on the river and Johnson doubled. Ryan Dykhouse raised to 200,000 and Mark Johnson made the call. The flop was and Johnson check-called a bet of 275,000 from Dykhouse. The turn was the and Johnson bet 395,000. Dykhouse called and the fell on the river. Johnson slide out a bet of 1,025,000 and Dykhouse quickly called, tabling . It was good, as Johnson showed . On a flop of , all of the chips got in the middle and Mark Johnson needed help for his against the of Dykhouse. Johnson would get the help he needed on the turn and the fell on the river for good measure. Mark Johnson raised to 200,000 and Ryan Dykhouse made the call. The flop was and Dykhouse check-called a bet of 260,000 from Johnson. The turn was the and both players checked. The river was the and Dykhouse bet 625,000. Johnson called, but mucked when Dykhouse turned over for the flopped straight flush. Ryan Dykhouse raised to 200,000 and Mark Johnson reraised to 390000. Dykhouse then put out a four-bet to 1,000,000 and Dykhouse folded.